The one thing One of the things on top of my list of things to do before we left Indonesia , besides hitting all the bazaars and trying to buy everything within reach, was to visit Hong Kong and to take the boys to Hong Kong Disneyland. My mom’s visit for Evan’s 4th birthday party was the perfect excuse to plan one last big trip and visit Singapore and Hong Kong before our time in Asia came to an end. 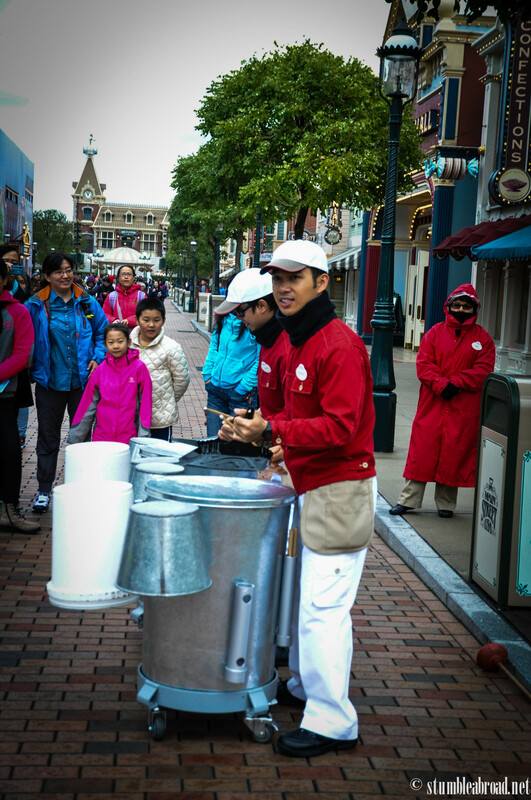 We visited Hong Kong in February last year, and we got “lucky” to be greeted by a cold spell with freezing temperatures. We knew to expect milder weather, but when we got there we experienced temperatures we hadn’t felt in years! 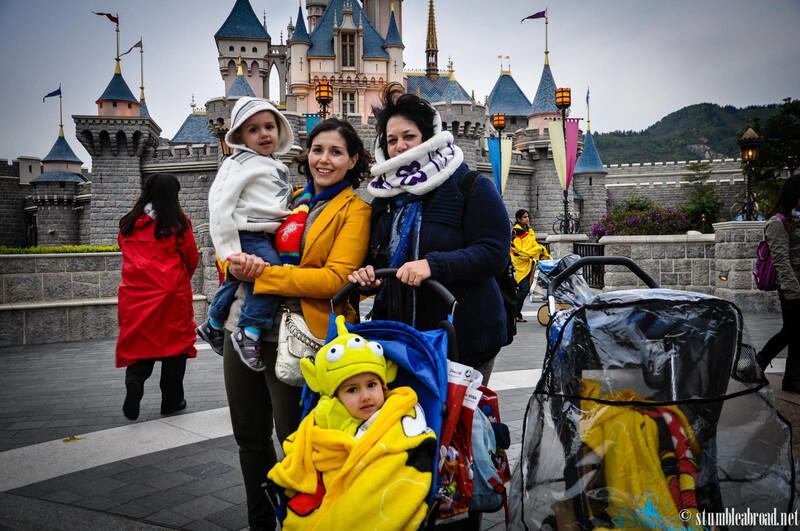 We layered up with all we had in our suitcase and started exploring HK. Our first night there we ate amazing Chinese food and bought some treats for the boys at the convenience store, I was excited to be there. 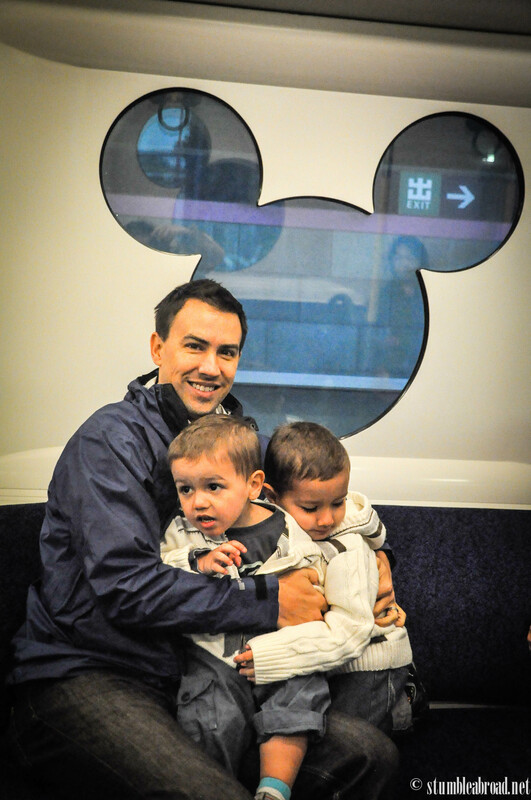 The day we decided to visit Disney, we got the kids ready and just told them that we would ride the train (metro). 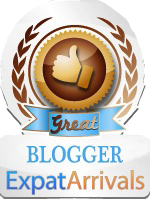 It was not only affordable, easy and convenient, it was an adventure by itself. 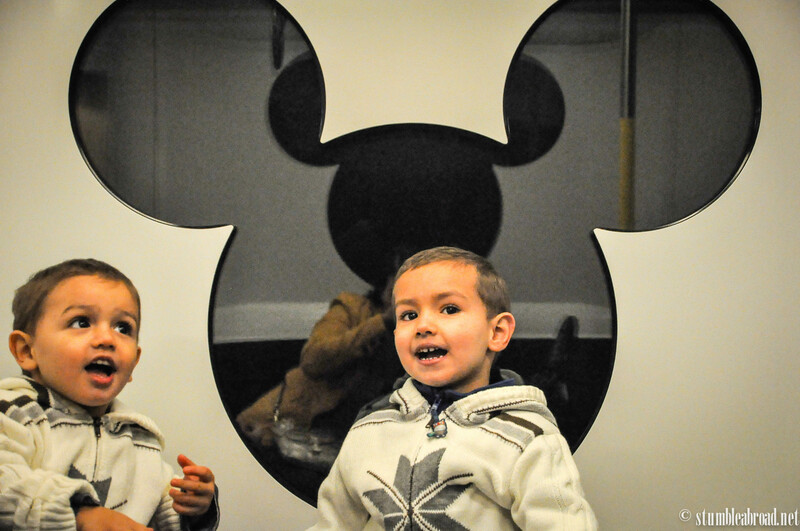 The boys were so excited to ride on the “train” and we were happy we didn’t have to take a taxi all the way there. 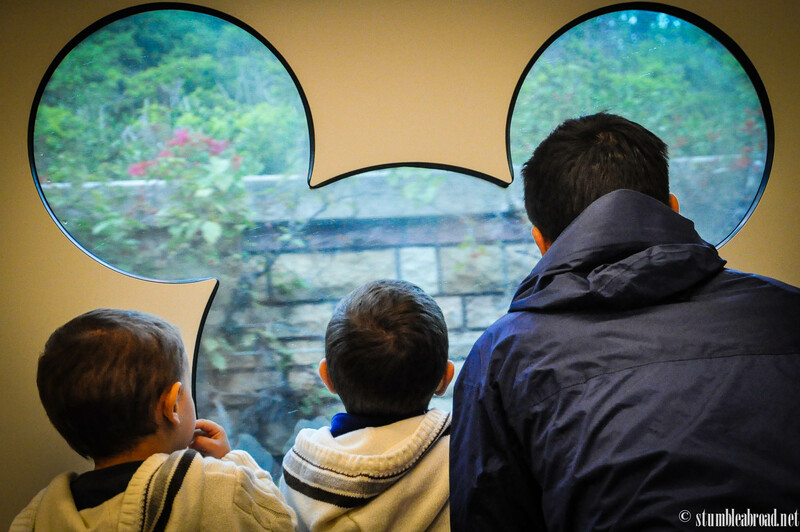 When we switched trains at the Disney transfer station they were so excited to see Mickey Mouse’s silhouette on the windows and understood we were going to visit a fun new place. As soon as you change trains, the Magic begins! Yeah, that’s Mickey’s silhouette on the windows! Look, we are almost there! Since it was super cold it took us less than 5 minutes to buy tickets and go it. This was the second to last time that Josh went in for free. 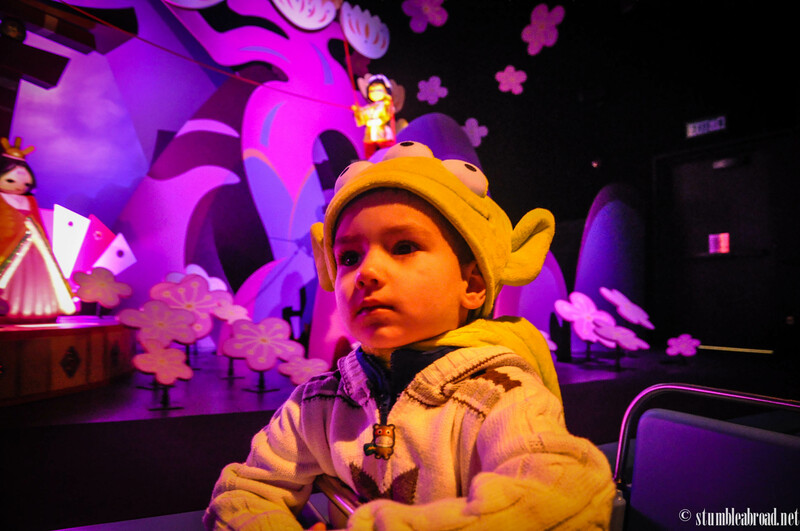 When we visited Disney Paris in 2012 he was too little to pay and when we visited Disney World Orlando in August 2014 he still made it without paying. We decided to only get the one day tickets since we were in Hong Kong just for a few days and felt like there was so much more to explore. As we entered the park we felt like we immersed ourselves in a Fairy Tale. You have to love Disney, they definitely take care of every single detail. From the architecture to the staff everything was impeccable. 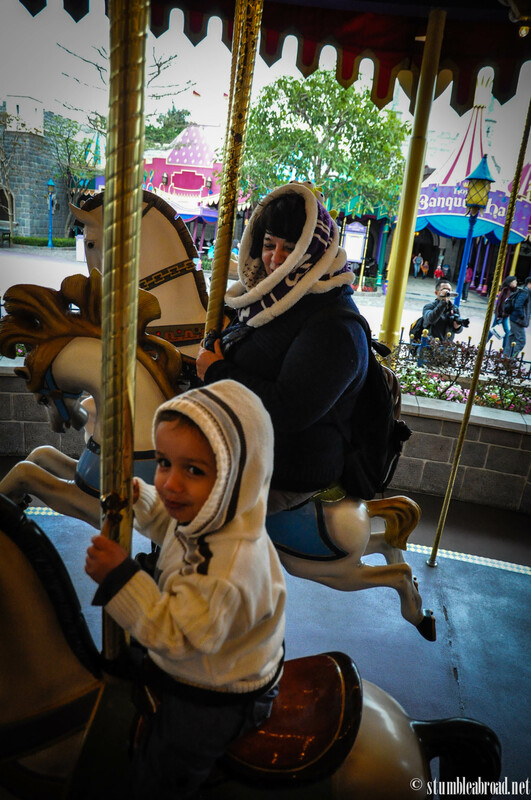 A few feet in, we started feeling super cold so we rushed to the nearest shop and purchased fleece blankets to put on the boys. 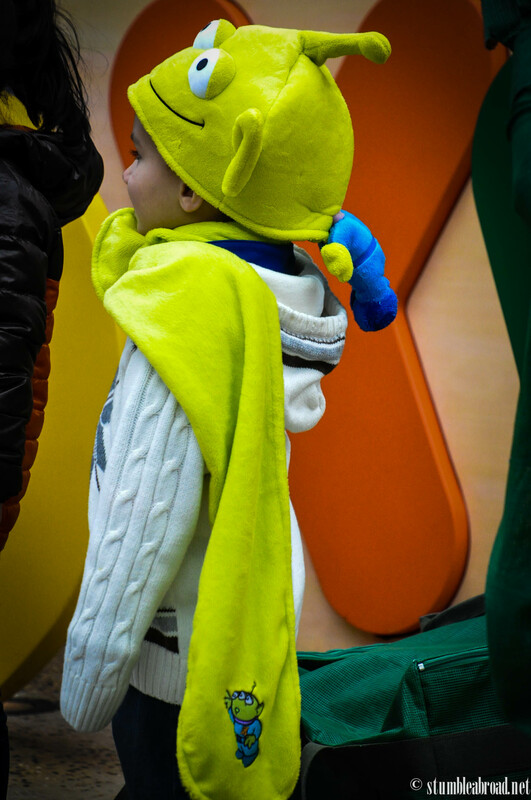 The stores were definitely prepared and the blankets were not expensive and quite plentiful. 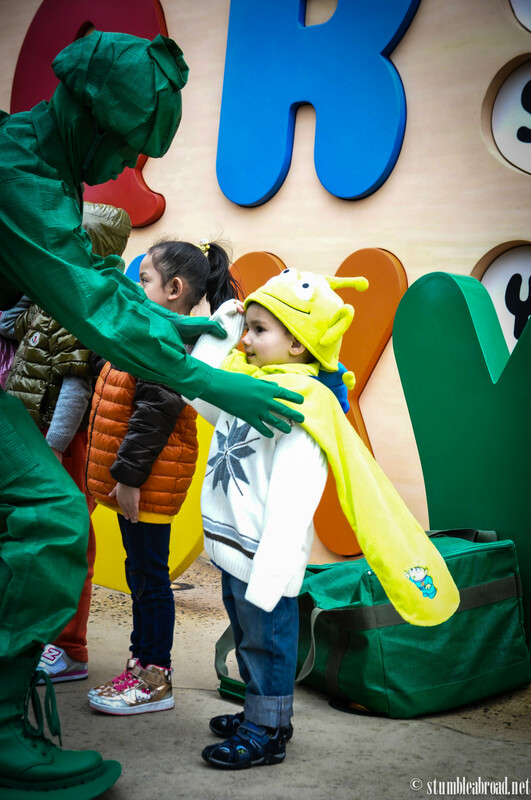 Everyone seemed to be uniformed in yellow blankets throughout the park. We were lucky to find lots of winter gear for sale so we got hats and scarves 50% off and got ready to venture out again. 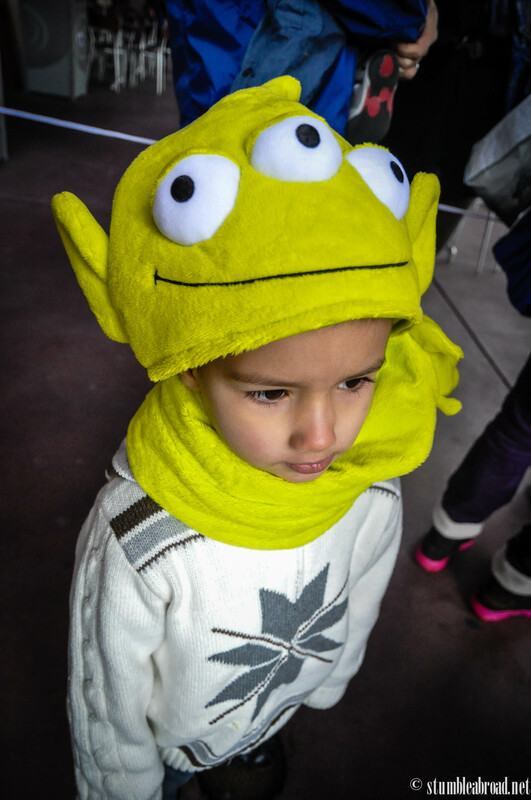 It was freezing, we had to get hats for everyone! 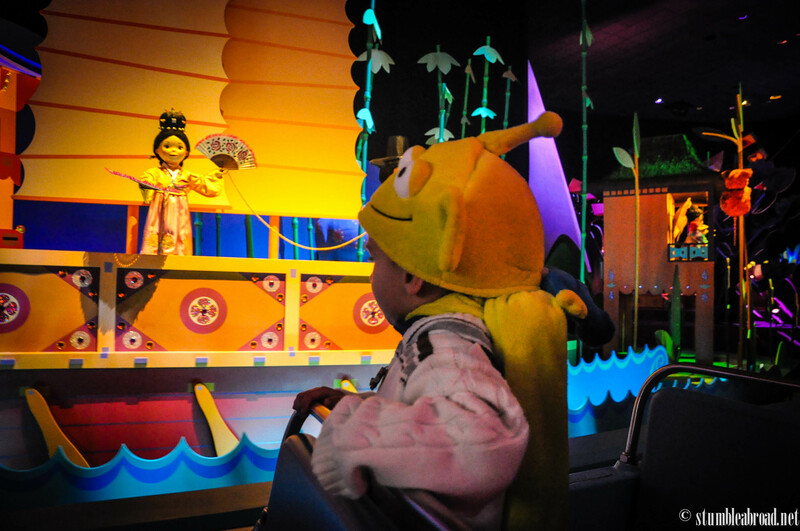 Our first stop was in Tomorrow Land where the long-awaited encounter with Buzz Lightyear took place. 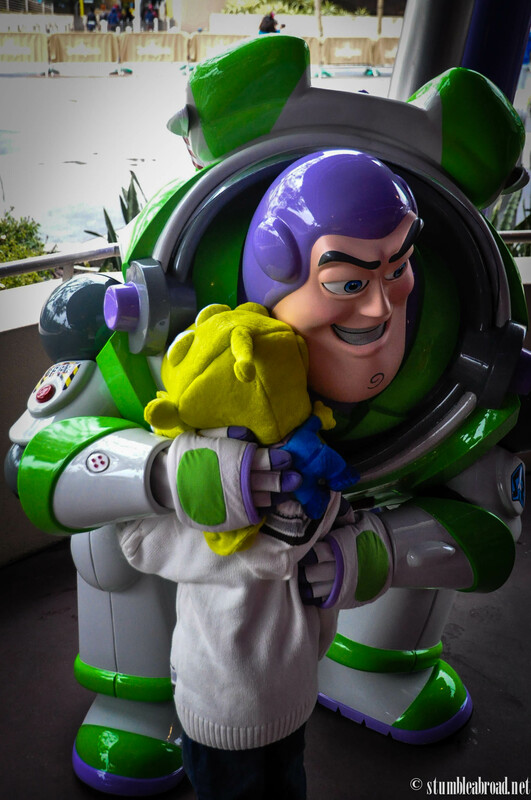 Evan was ecstatic to go to infinity and beyond and loved meeting the space explorer. 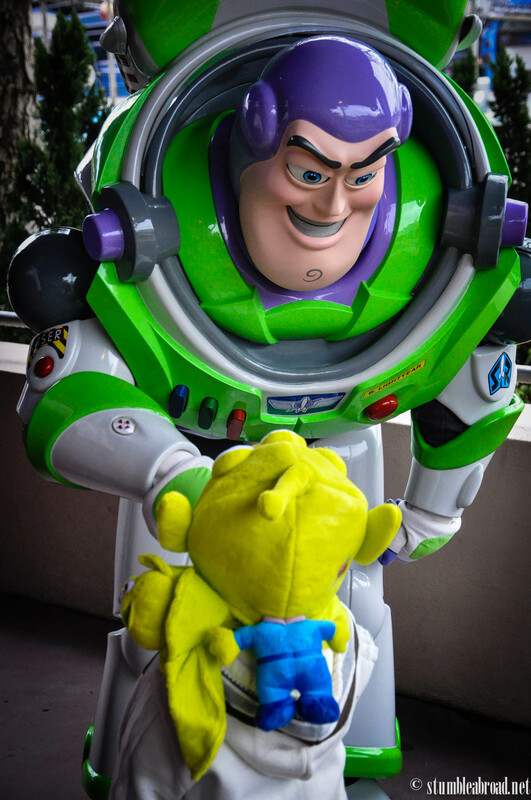 Josh was a bit hesitant to approach Buzz but felt safe in daddy’s arms. 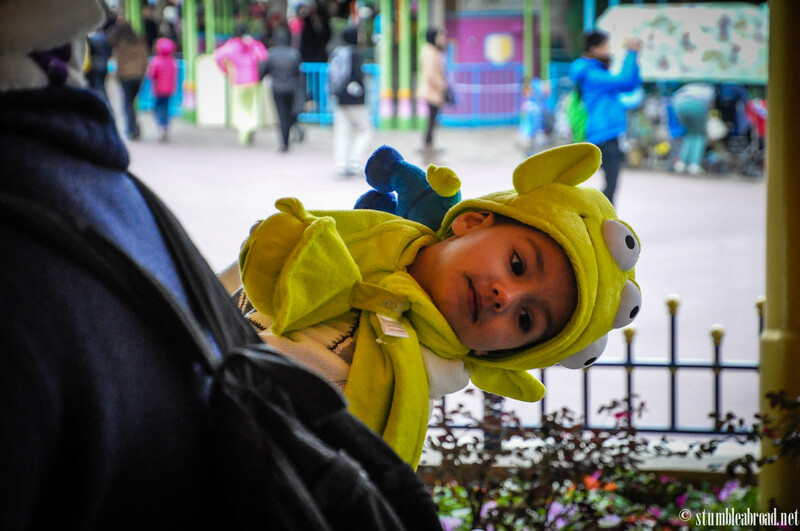 Again, we were some of the few crazies willing to visit an amusement park in such dire weather but that meant that the lines to meet characters and go on rides were very scarce. 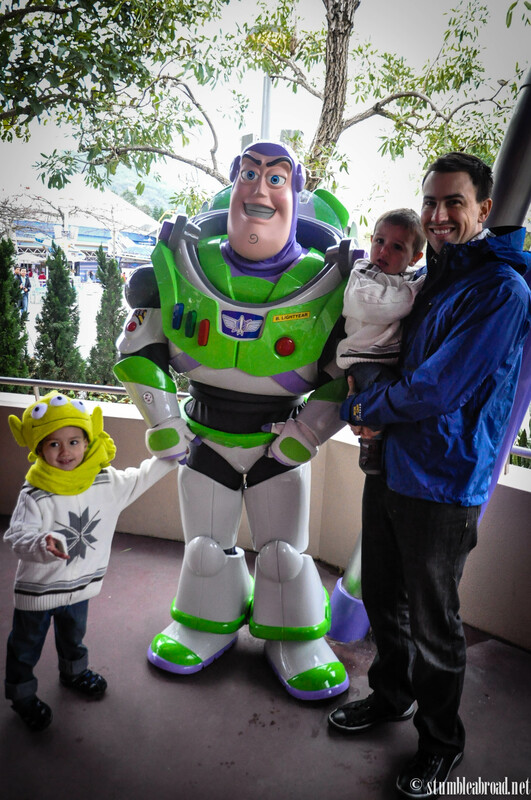 Evan’s favorite ride is Buzz Lightyear’s Ranger Spin. 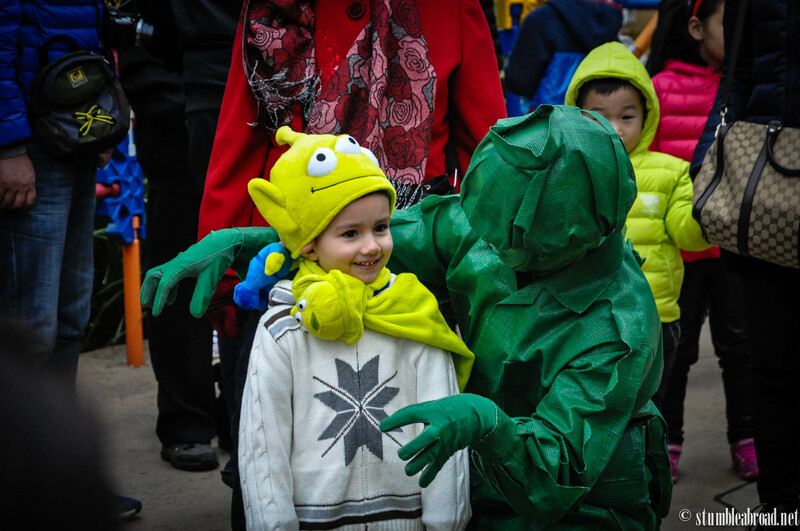 I thought the darkness and the funny looking aliens might scare him, but he absolutely loves it. 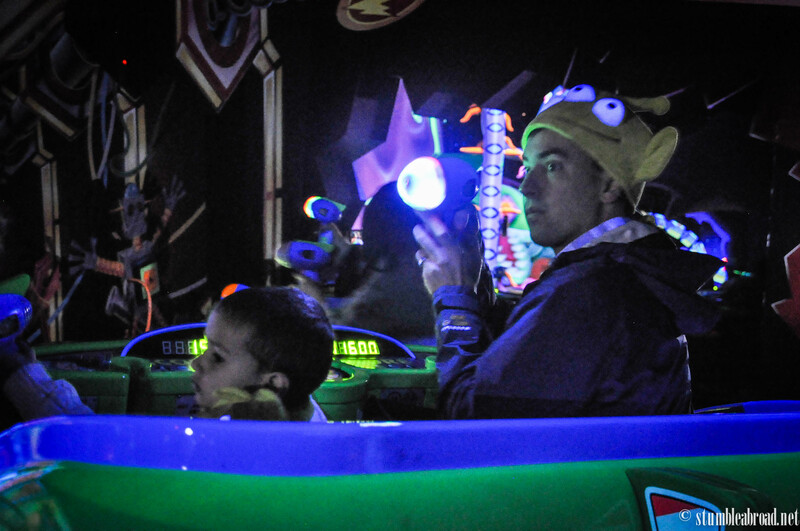 He has ridden it in Paris, Hong Kong and Orlando and really enjoys shooting aliens (I hope there’s no intrinsic meaning to this passion of his). 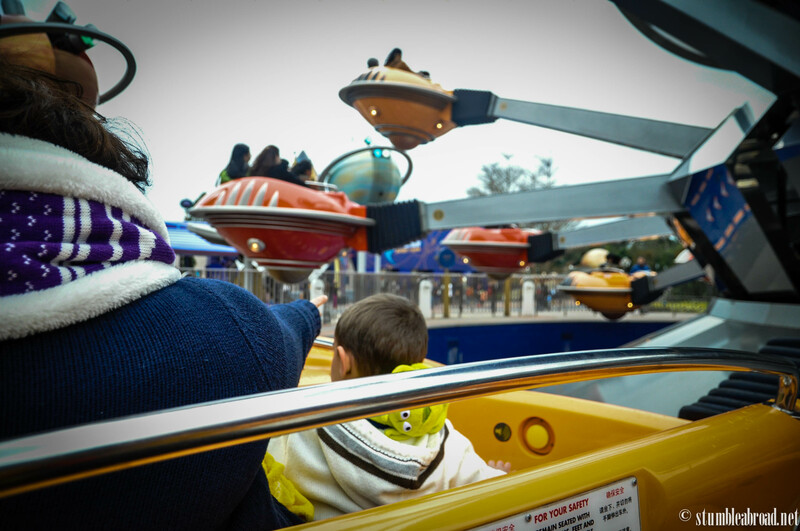 We were able to ride on it a few times before deciding to move on to the next attraction. 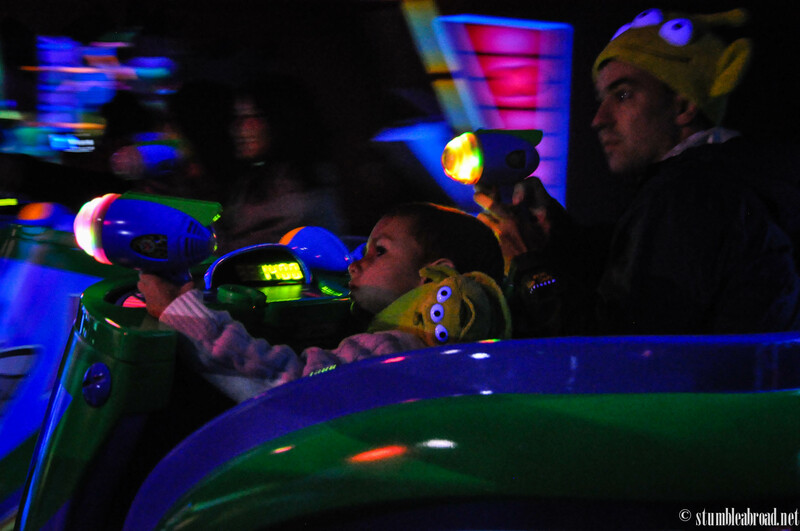 Buzz Lightyear’s Ranger Spin… This is Evan’s favorite ride. 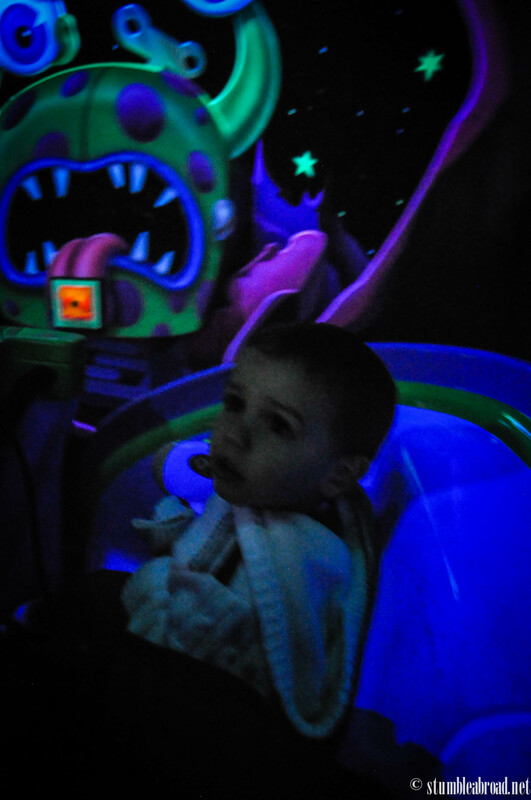 Josh was a bit scared of the aliens. 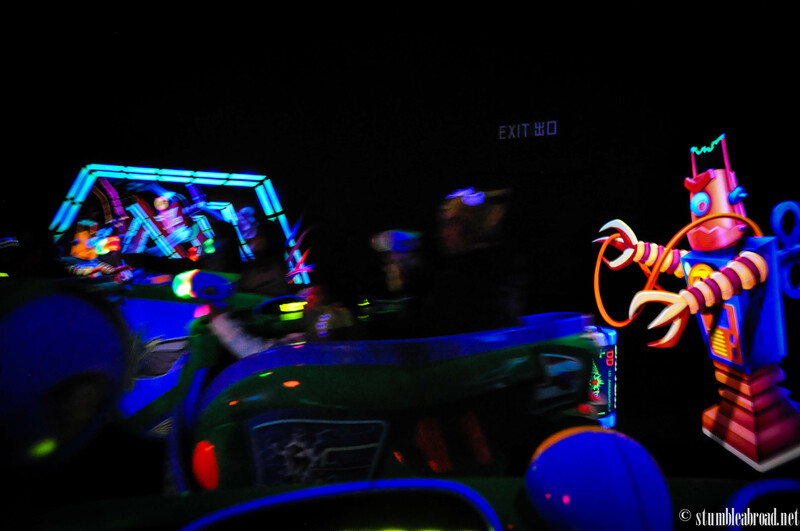 Following the alien encounter, we headed to the Autopia track. Evan rode with daddy and got to drive. You can imagine how excited he was. Josh didn’t drive but loved riding the car. Josh loves anything with cars. His smile means everything to me. 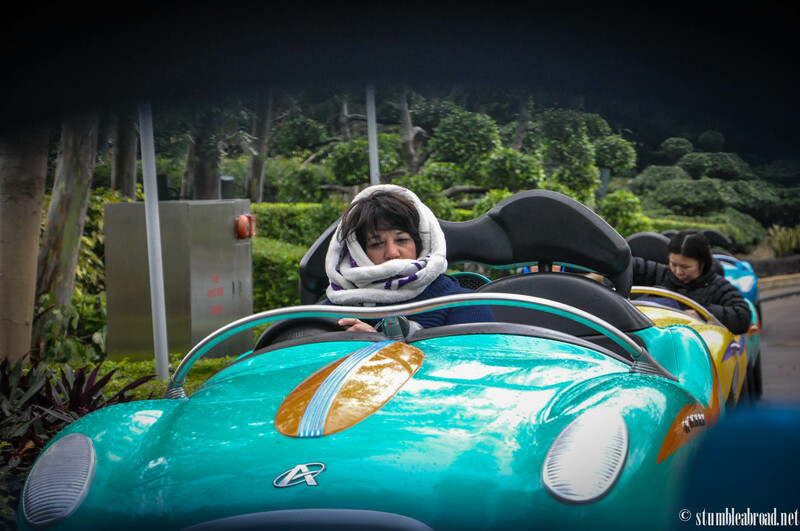 Abuela freezing but having fun. We then rode the Astro Orbiter. Josh loves riding on anything that flies up and down. 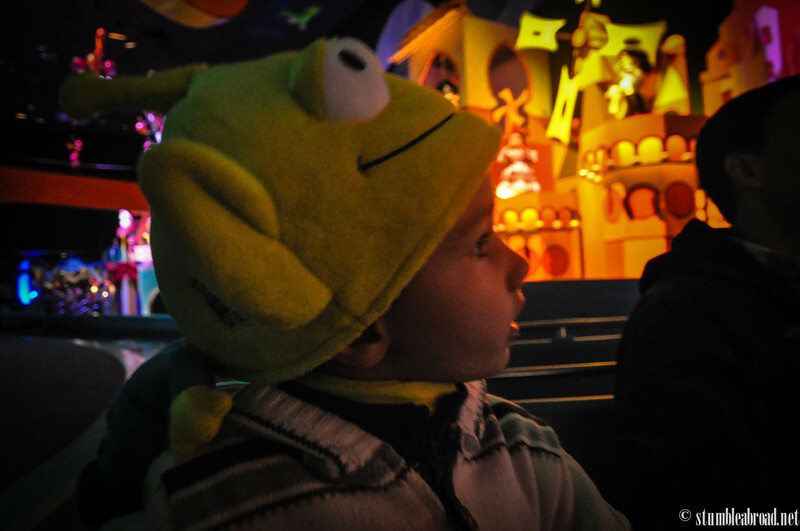 He loved riding Dumbo in Paris and Magic Kingdom Orlando and the dinosaurs in Animal Kingdom Orlando. 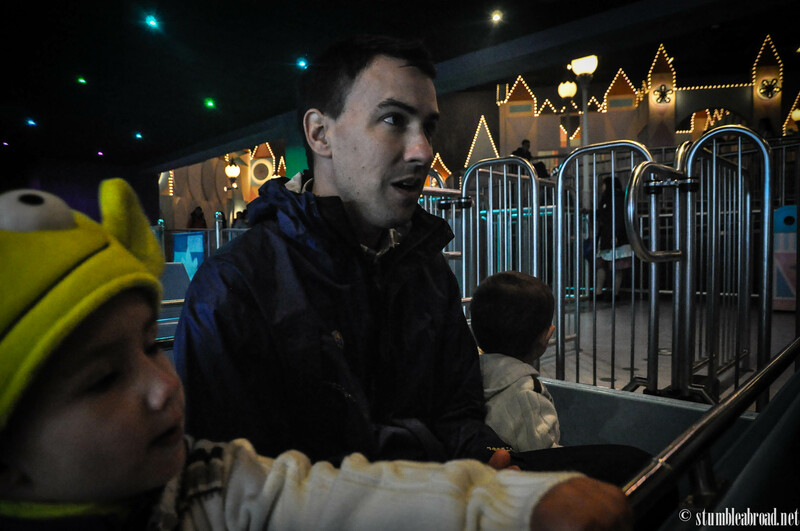 I usually let Josh control the ride but that usually means we stay down for the whole ride. 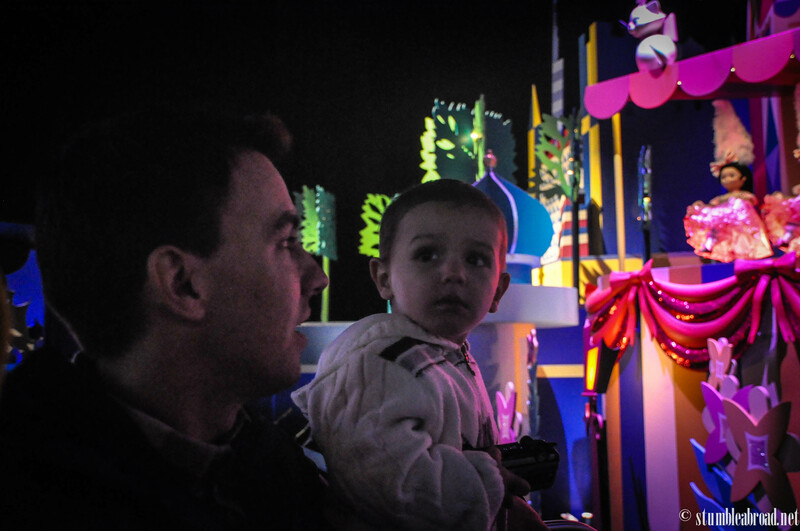 Naturally we had to go into it’s a Small World. We rode it like 4 times because there was no line and it was warm inside! The boys enjoyed it. Evan was expecting more of a thrill but enjoyed it nonetheless. 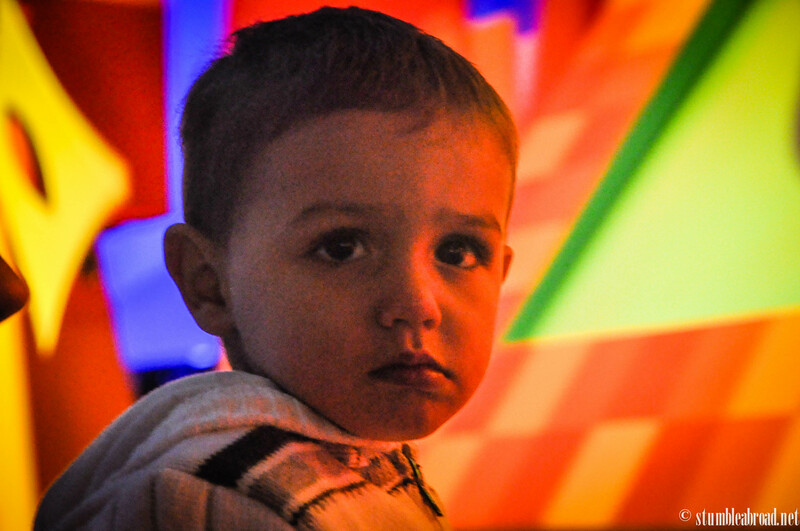 Josh was mesmerized by the animated robots and the colors. I enjoyed sitting down and relaxing. Josh really liked this one. We rode like 5 times. Yay for going on a freezing day with no people. 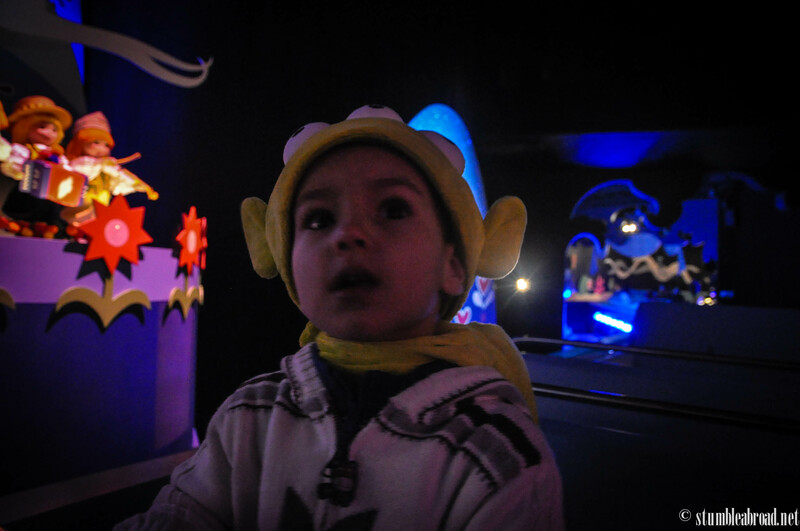 Fantasyland is always a favorite of ours. 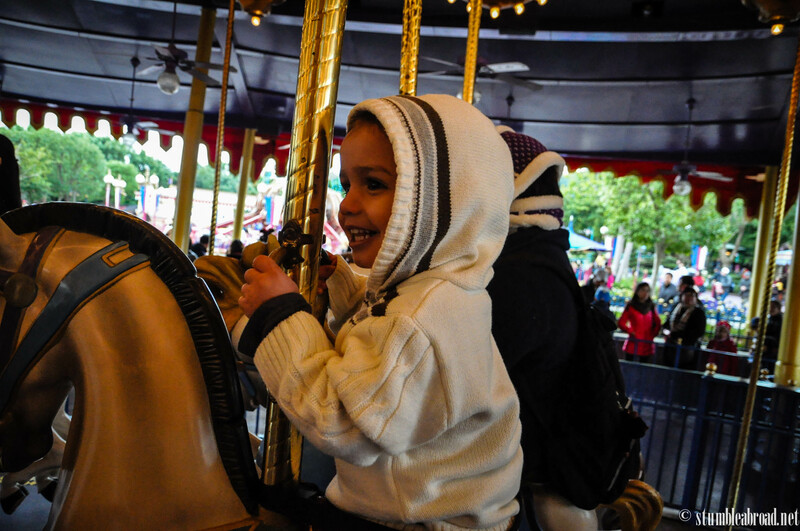 Josh loves the character rides and particularly enjoys the carousel. 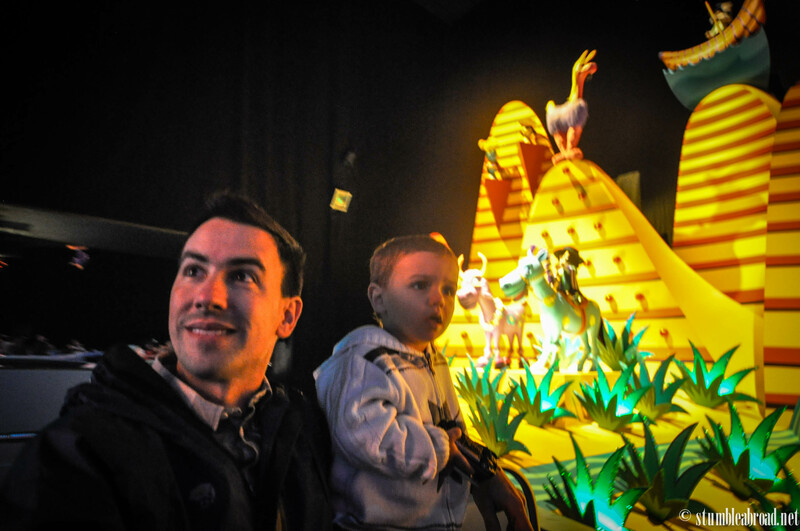 I really liked the Winnie the Pooh ride, it was so much fun to see the boys bounce around. 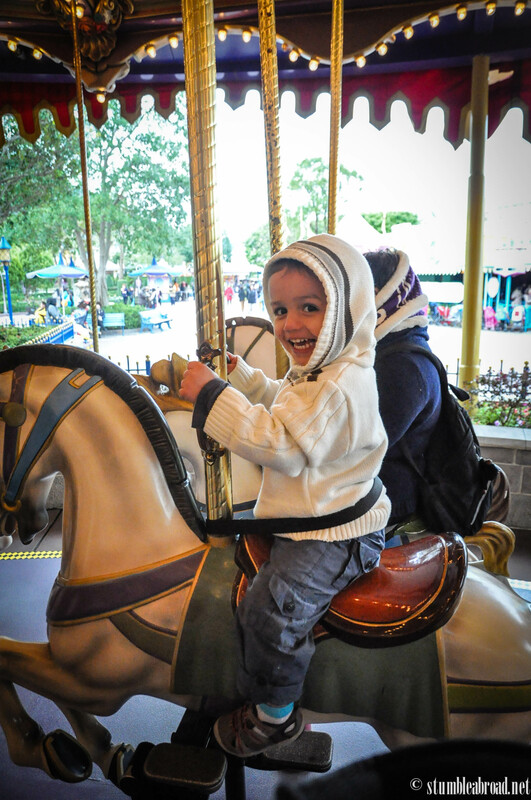 Josh demanded we rode the carousel a few times. 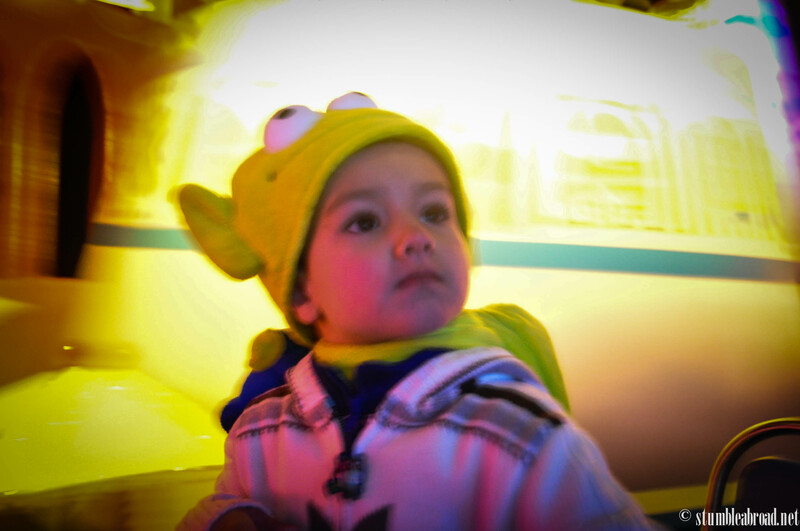 In fact he stayed in the carousel with abuela while we took Evan to a big kid ride. 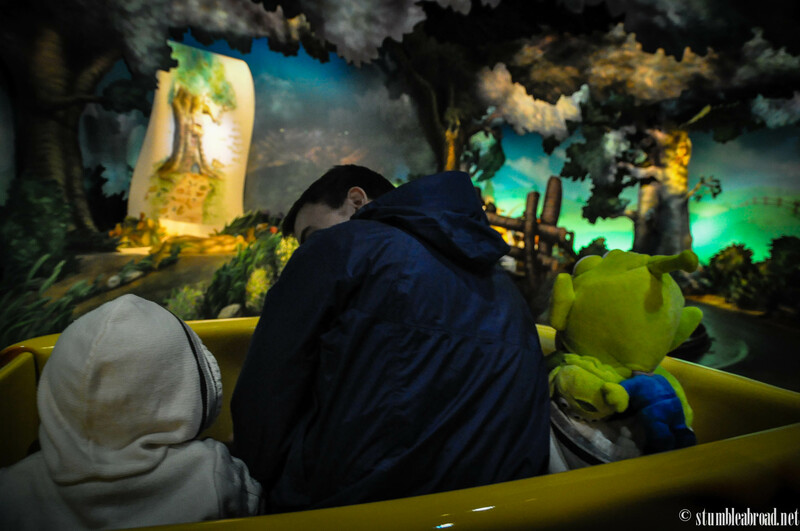 The Winnie the Pooh ride was very popular. 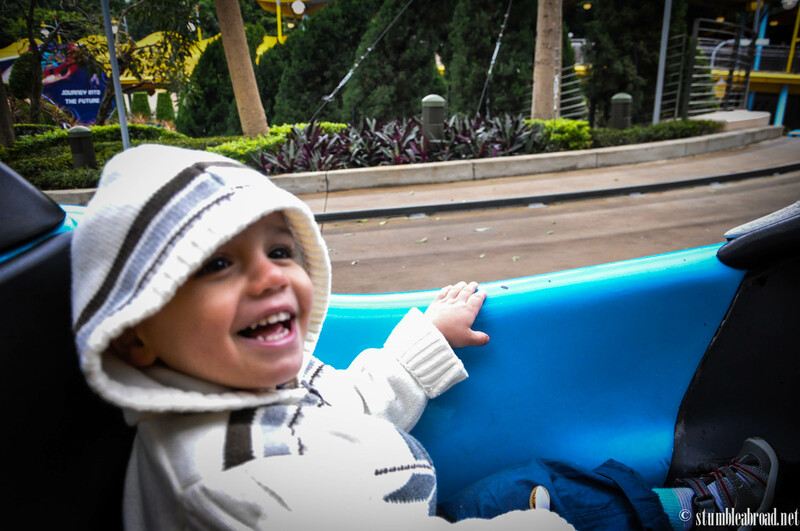 This is definitely Joshua’s favorite ride. After a few hours, we got hungry! Unfortunately I forgot to take any pics of our meals but we went to one of the Mid-level restaurants, the Royal Banquet Hall and we were able to choose from a wide array of international fares. I went for a steak and the boys had a kid’s meal with chicken and rice and Mickey Mouse shaped jello. It was so nice to be able to eat something other than fast food. 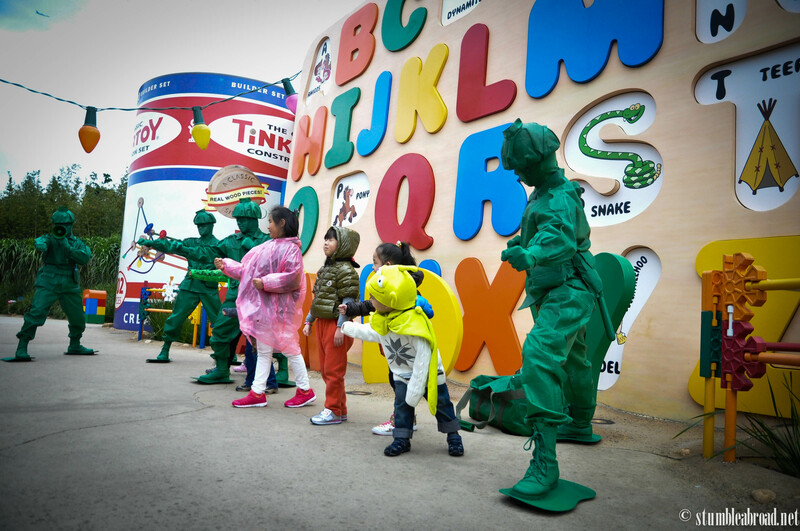 We then headed to my personal favorite part of Hong Kong Disney, Toy Story Land. I wish I had taken more pics but this place was just like a place out of a movie. It was fantastic! 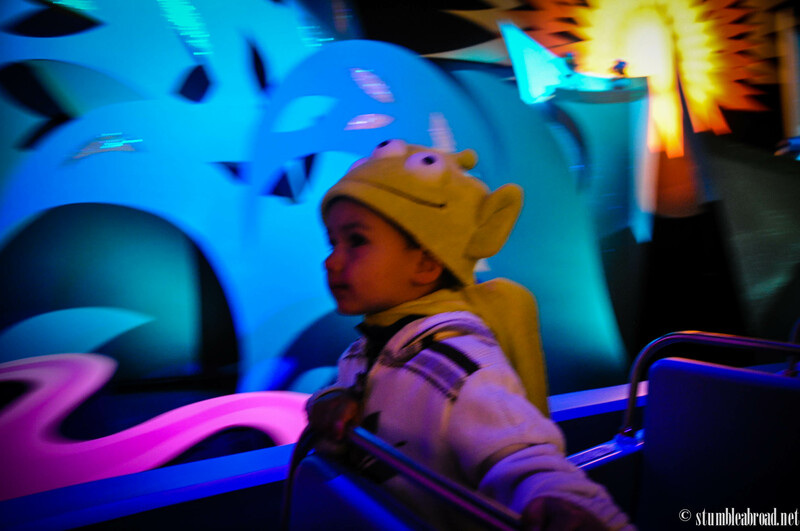 They had giant toys everywhere and the rides were so much fun. 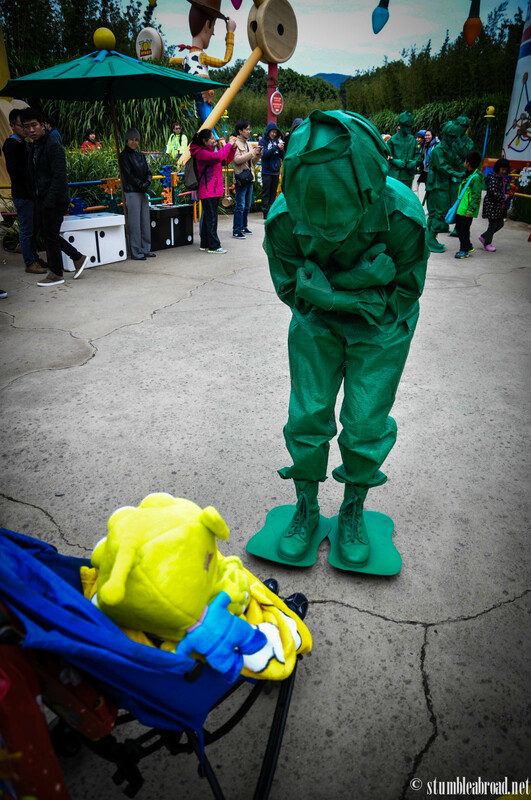 Our favorite was the Slinky Dog Spin and the Toy Soldier Parachute Drop. Evan was a bit scared of the drop but felt super brave riding on it. 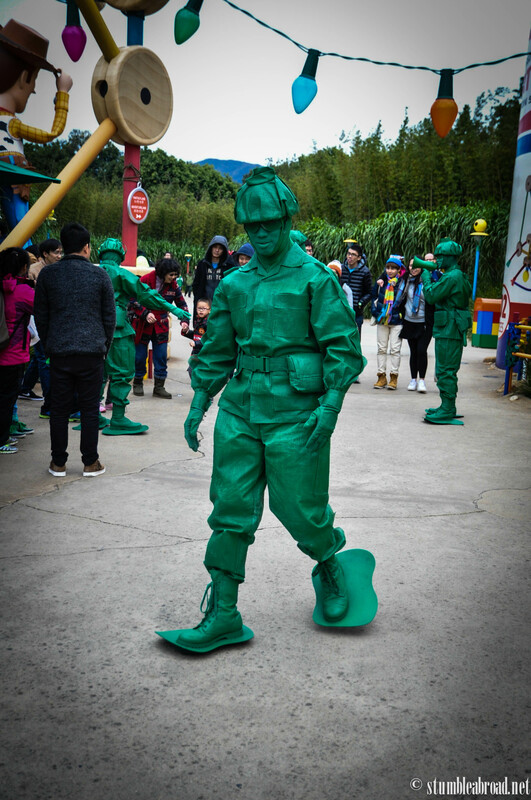 We also got to see an interactive toy soldier show. Evan was eager to participate and jumped right in. It was so much fun watching him enjoy it so much. It was definitely the best part of the visit for me. 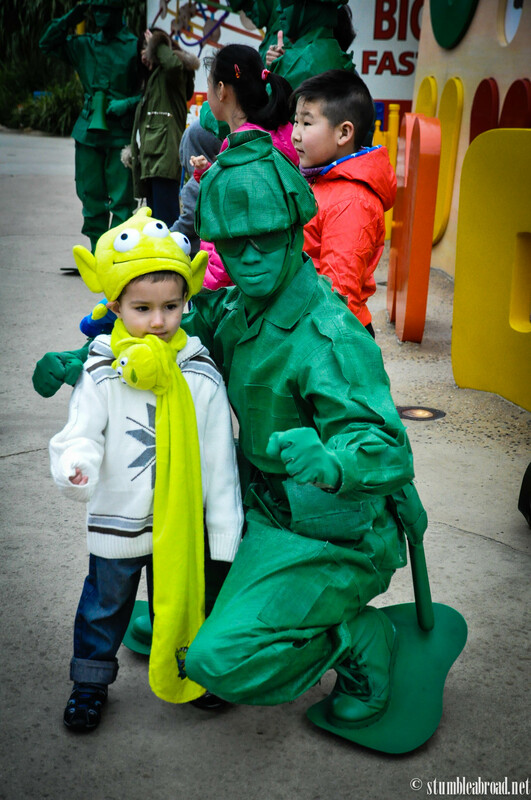 Toy Story Land was the coolest place ever. Evan made friends right away. He joined along right away. 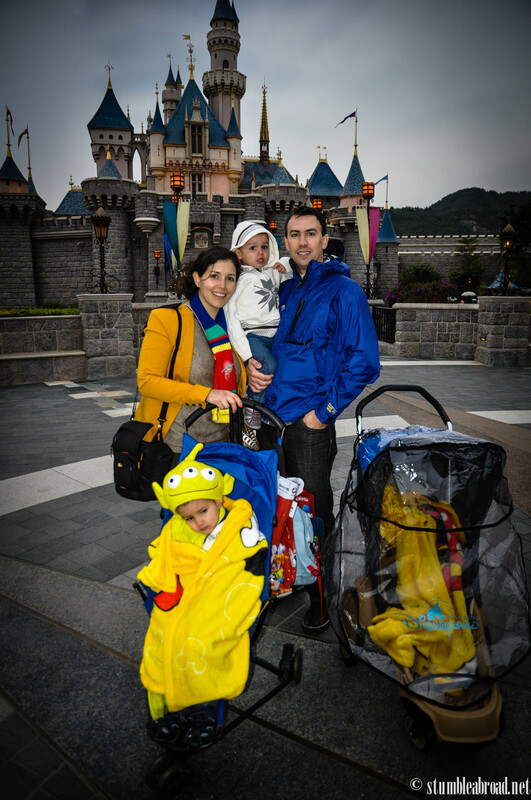 Our visit to Hong Kong Disney was just unforgettable. We are so grateful to God for the opportunity to visit places like this and take our boys to fun places around the world. I hope to be able to go back in the future when the boys are older. I am sure we will have as much fun! With the castle in the background. So happy to have my mom with us. 1. 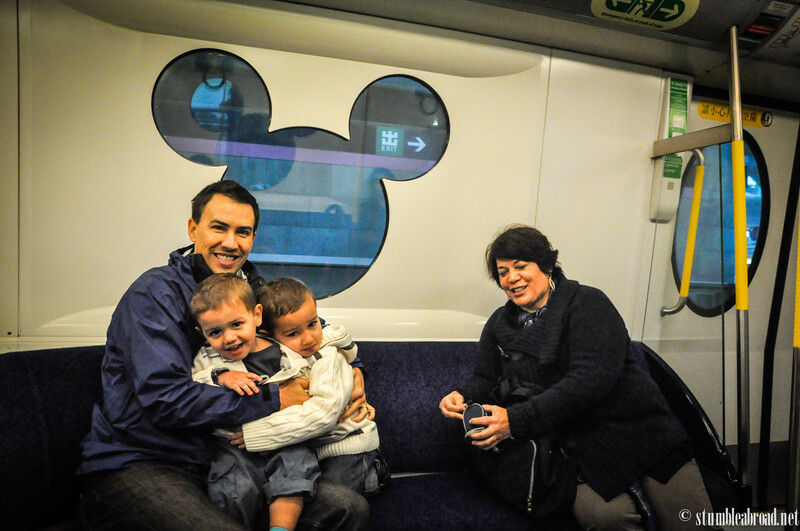 Take the MTR to Disney. It’s very easy and convenient. 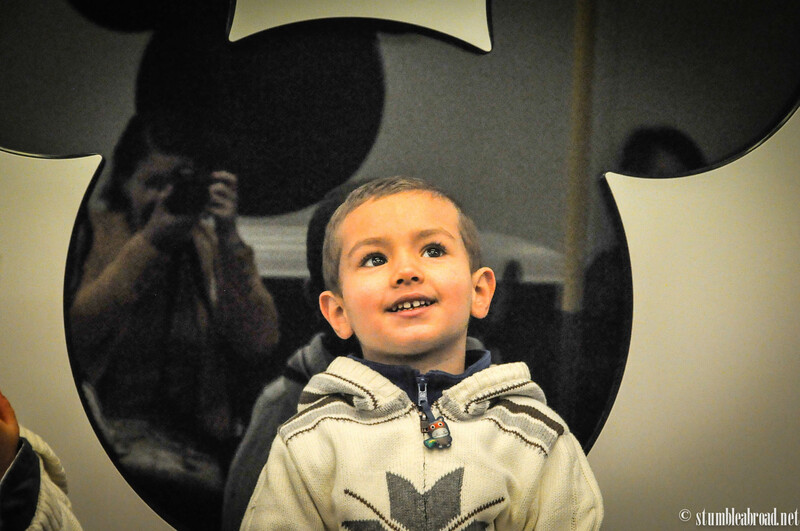 You can buy a day pass if you think you will have the energy to explore more after your visit. 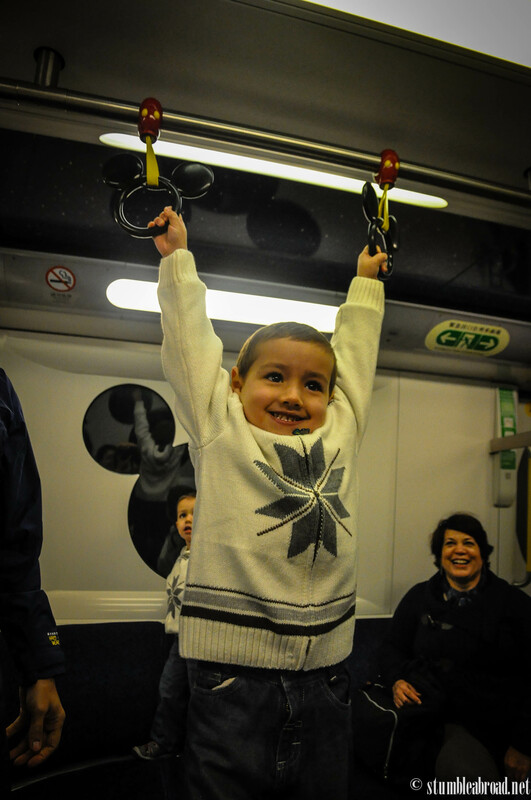 The MTR is stroller friendly but you might have to fold it if you travel during rush hour. 2. 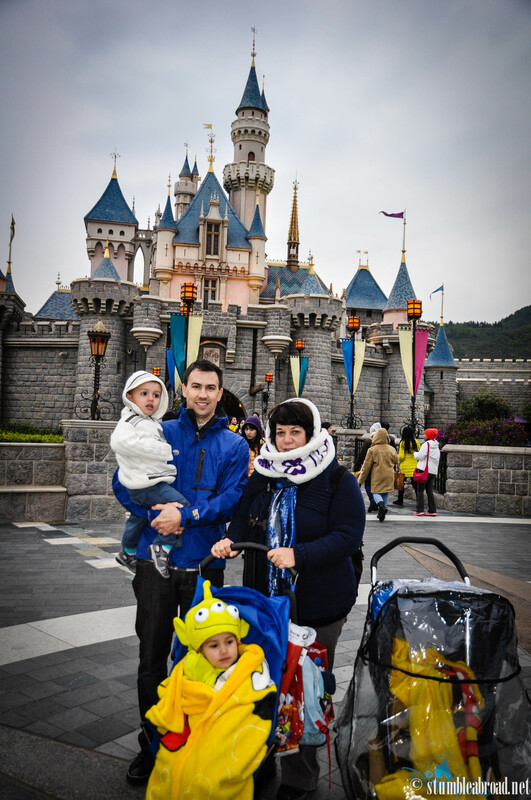 We brought a folding stroller and rented a second stroller on site. We have done the same thing in the past and it works out pretty well. 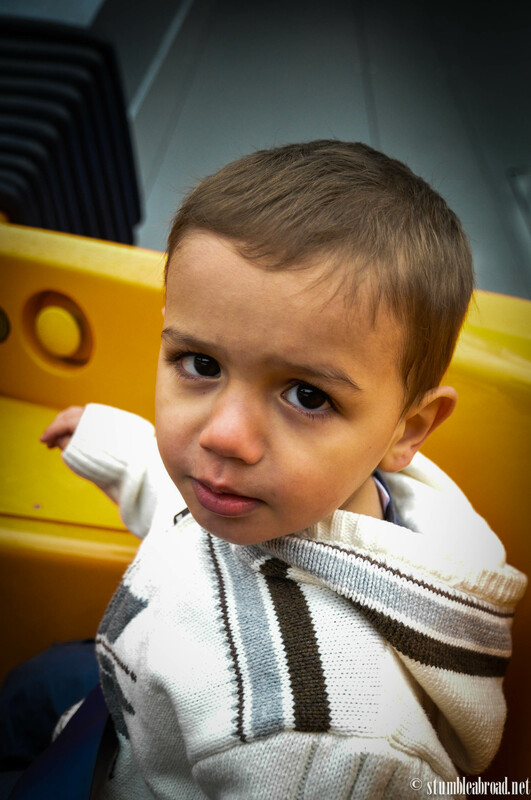 The strollers are able to hold older kids so if your 5 year old gets exhausted half way, trust me you will be happy that you have stroller and don’t have to carry a cranky little one. 3. The restaurants in Disney Hong Kong are awesome! You can pretty much find anything you can think of from vegetarian meals to chinese banquets and simple burgers. 4. Changing tables and baby care facilities are available throughout the park. If you need to nurse or feed your baby you can visit a baby center. 5. The park is not huge but I imagine it gets crowded in the summer, if that’s the case, you can get a two-day pass and take it slowly. The price difference isn’t huge. 6. 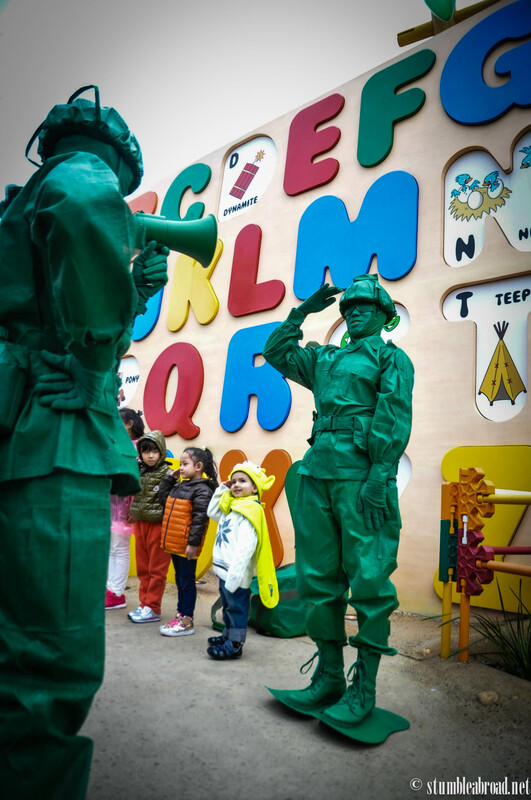 Look for unique souvenirs and photo ops! We found the cutest Mickey and Minnie key chains with them dressed in traditional Chinese attire. 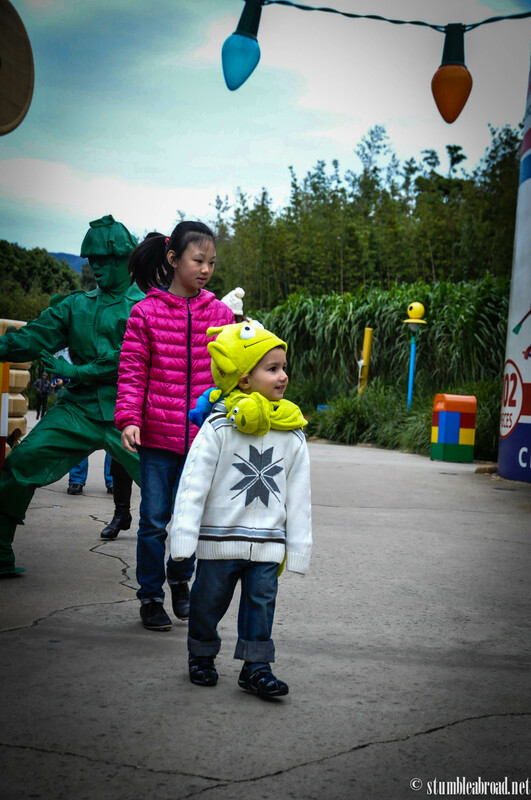 Make sure you take some pictures with the characters dressed with traditional Chinese costumes.